Every drinker has their own idea of which is the best rum. You may prefer a brand like Mount Gay or Havana Club while your friend tends to enjoy Appleton Estate or Ron Matusalem. Others will pour nothing other than Bacardi because it's what they've been drinking for years. Rum is a very diverse category of liquor with many great brands, labels, and styles available. When you're looking for something new to mix into your favorite rum cocktails, you will find endless options. Where do you begin? Let's explore some of the possibilities within the light, gold, aged, dark, and flavored styles of rum and guide you through what defines each style. There are many varieties of rum that can be used to make cocktails and the choice can be a daunting one. Rum is made throughout the world and, while the Caribbean is best known for their rum, there are some fantastic brands produced elsewhere. Choosing a quality light or gold rum to stock in your bar is a good place to begin. This will be the most used bottle because it's versatile and required for the majority of rum cocktails. Dark rums are used occasionally. In some cocktails, it is a complement to light rum and in others, it is the feature, so this would be a secondary priority. Flavored rums, including spiced rum, are not as necessary as their counterparts. Yet, they are used in specific cocktails and can become a substitute other rums when you want to add more flavor. One of the best aspects of exploring rum is that it is generally inexpensive when compared to other distilled spirits. This means that you can easily discover a new favorite without going broke in the process. It's guaranteed that you will not enjoy some rums as much as others, but the adventure is half the fun. Keep in mind that this is only a guide to give you a general idea of what to expect when searching for rum. It is impossible to list every brand and label and new rums are released to the market every year. With the knowledge you gain here, you'll be able to decipher the labels of almost any rum label you come across and gauge it against brands you're familiar with. Keep in mind that just because you haven't heard of a brand, doesn't mean it isn't worth your time. You can make some fascinating discoveries by picking up a new-to-you bottle. Smart liquor consumers also realize that the majority of the popularity a brand receives is based on great marketing. Don't overlook those unknown brands because there are some hidden gems to be found. You can also find some fascinating small-batch rums at craft distilleries. There are many popping up in the United States and rum is a favorite liquor for small production. Also, the price ranges noted are for the standard 750-milliliter bottles, popularly known as "a fifth." Some of the more popular rum offerings are available in 1-liter bottles, which may end up saving you a little money in the long run if you really enjoy the rum. Don't worry too much about shelf-life, it often takes years for the flavor of rum to go bad, even after it's open. Light rum will be your first choice for mixing the majority of rum cocktails, including favorites like the mojito. It has a sweet, neutral flavor that pairs well with almost any flavor and its clear color doesn't affect the appearance of the drink. There are many quality light rums available and many are very reasonably priced. While it's easy to grab a bottle you're familiar with, try to look beyond the big brand names like Bacardi when you want something different. You may find that some of the lesser-known brands are superior in taste and mixability. Due to rum's global production, there are really no set standards for its production. This can lead to some difficult choices, particularly when it comes to aged or gold rums. It is very important to read the label on gold-colored rums if you want to learn a bit about their production (though not all labels are as revealing as others). 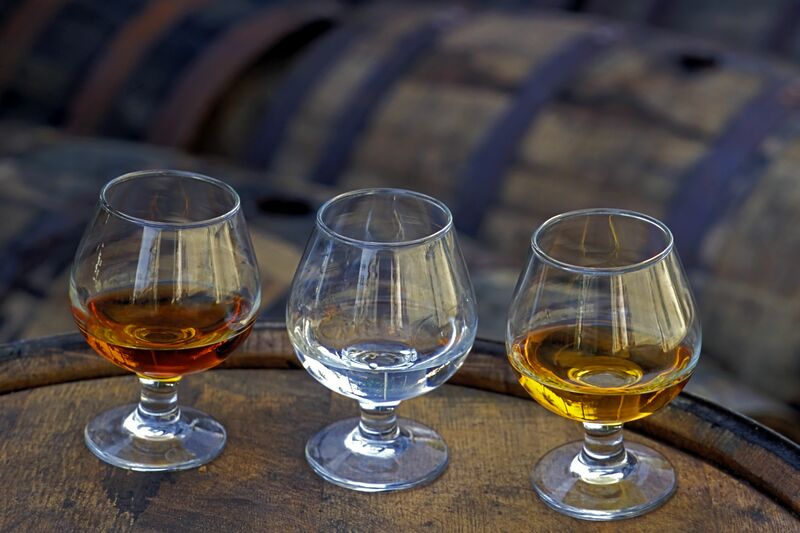 Some gold rums are blends of rums of various ages, others are a straight rum aged for a specific amount of time, while still others (typically cheaper ones) are blended with spirits other than rum or may contain artificial colors to give them the amber color. It is also important to note that not all rums require the same amount of time in the barrel. Climate plays a large role in aging times. For instance, the Caribbean's warm, humid climate can make a rum in just a few years that tastes similar to an American rum that has been aged for a decade or more. There are really two styles within the category of dark rum: those that are aged in charred oak for a long period of time and those that begin with a distillate made from the darkest molasses. This second category is often called black strap and these rums are very rich, thick, and quite interesting. The aged dark rums are used in a number of cocktails and are often floated on top of the finished drink. The Mai Tai is a good example of a dark rum float. Some of the higher-proofed dark rums that are floated are also used when lighting drinks on fire. Other cocktail recipes, such as the dark 'n stormy, were designed for a particular dark rum. In that case, it was Gosling's Black Seal. Spiced rum is a flavored rum that is a category unto itself. Though the spice blends vary from brand to brand, you will know a spiced rum when you smell it. Some drinkers really enjoy spiced rum and others do not. If you have any issues with heartburn issues, acid reflux, or similar digestive issues, it is probably best to avoid these as they can really irritate the condition. Nutmeg, cinnamon, vanilla, clove, cardamom, peppercorns, anise, allspice, and orange peels are among the ingredients used in spiced rum. It is a nice way to get an interesting flavor into drinks and spiced rums are featured in a number of popular cocktails, including the famous cable car. Though not quite as quick, the options for flavored rums are increasing almost as fast as flavored vodkas. Typically rums take on the flavor of tropical fruits and can be great for adding a little flavor to tiki drinks. There are also a number of cocktails that specifically call for flavored rum, especially when it comes to a something like a coconut rum. There can be a significant difference in flavored rums. Some brands will do a natural infusion of flavors while other opt for artificial flavors and, sometimes, add sugars to sweeten the rum, making it into something similar to a liqueur. Just like all rums, the lack of regulations and disclosures should make the flavored rum drinker more cautious when shopping. If you want to guarantee the quality of your flavored rum, try infusing it yourself. Light rum is an ​ideal candidate for homemade infusions.